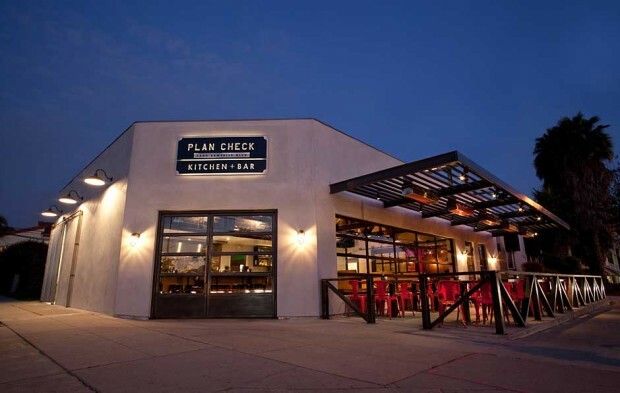 Stussy seems to have their hands in everything trendy these days, and now they’ve teamed up with The Plan Check restaurant in West Los Angeles to swag out a boutique line of gourmet burgers, fries, and deserts. The “Burger Culture Clash” was meant to capture the universal appeal of the Stussy brand, via culinary brain child of The Plan Check’s Head Chef, Ernesto Uchimura. A very fresh limited pressing Stussy t-shirt is available to the first 100 people who RSVP for this pheNOMNOMNOMNOMinal experience. Grab one now. The madness jumps off Saturday, May 11, and runs until the 18th. The menu is $45, and includes a gift from Stussy. Email Reservations to stussy@plancheckbar.com. The entire regular menu will still be available, stuffed with other delectable options, and even some healthier fare to appease your snooty veggie loving girlfriend. 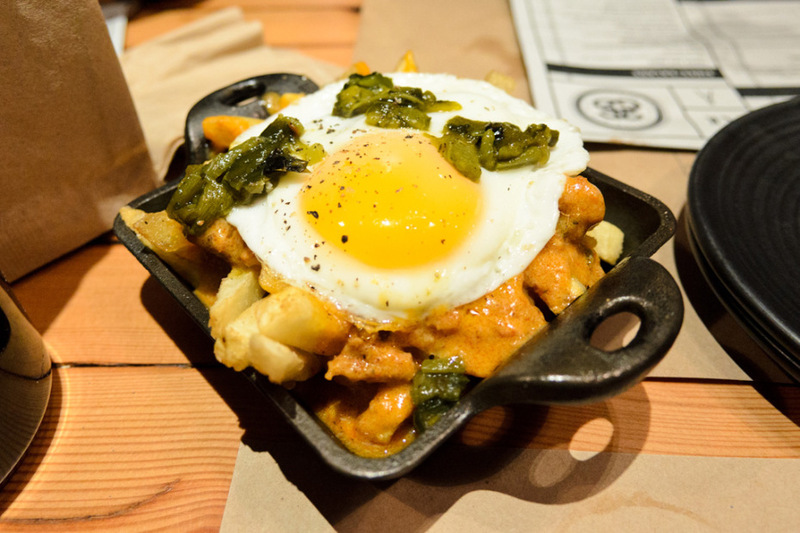 These fries excite me; topped with chorizo gravy, fried egg and roasted pasila chile. 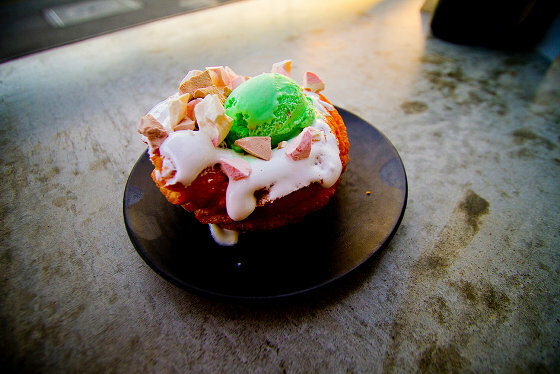 AAANNND you get a pint of Venice Beach Beer, AAANNNDDD a donut with pistachio ice cream, topped with the slightly crunchy candy marshmallows found in the cereal you REALLY wanna buy while you’re reading the ingredients on that box of Kashi.